Anonymous, 15 Jan 2014i cant understand wht sony is underated, my brothers 1.5 year old sony ICS 1ghz 512mb still ru... moreSonyt cant afford wide marketing, thats why they decided to not try and strengthen their position in USA, it costs too much. Still, thats not the reason why Xperias havent sold that well despite of being excellent phones, the real reason is that Sony/SonyEricsson was very late in jumping on the specs train, X10 had to face Galaxcy S, Arc S had to compete with dual cores, that didnt go well and when your flagship cant compete well then the rest of the lineup will suffer also, and it did. Later they made the mistake of omitting the card slot in S, P and U, and after that 1GB dualcore T and TX had to compete with 2GB quadcores, didnt go well at all. 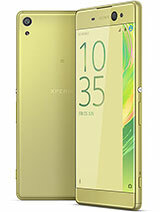 Things didnt get right before the Xperia Z, which came out less than a year ago. Its looking good now, the Z set things straight, besides Samsung and Apple Sony Mobile is the only tier 1 manufacturer to make a profit, and they did that despite writeoffs on the buyout of Ericsson, i say thats well done, pay their debt and still post profits (small though). When you look at how much LG and HTC are losing then things are looking very bright for Sony Mobile. big screen it needs scratch resistance glass. [deleted post]Samsung with S-Amoled = Oversaturated display! TouchWiz UI= Laggy Performance! Get off, Samsung fanboy!? 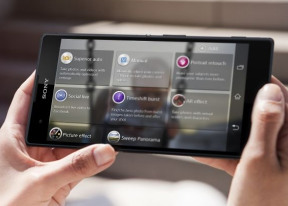 Where's Sony Xperia T1 Ultra? I haven't see it yet. 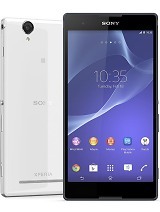 Overall, Xperia T2 Ultra is a good mid-range. 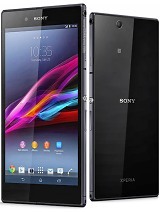 And its design is as sleek as Xperia Z Ultra but it packed with better camera than Xperia Z Ultra. What could be the expected price range if it has to comepete against the likes of Nokia Lumia 1320, Galaxy grand 2 or even Galaxy mega 6.3? winjilcom, 15 Jan 2014IPS LCD capacitive touchscreen = Piece of crap microSD, up to 32 GB ONLY?.. ONLY 8 GB IN... morer u kidding me? spammer ... i know u r just another fanboy who jealous with Sony . spammer ..
winjilcom, 15 Jan 2014IPS LCD capacitive touchscreen = Piece of crap microSD, up to 32 GB ONLY?.. ONLY 8 GB IN... moreNice to see you again, S-fanboy! By the way. Plastic = Crap design and Samsung design is make me boring, every devices are share a same design. What The Hell! microSD, up to 32 GB ONLY?.. it should've been 1.5gb ram!!! 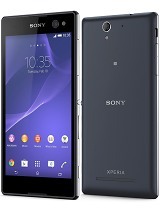 beautifully design,first Sony mid-end smartphone that draws my attention. i cant understand wht sony is underated, my brothers 1.5 year old sony ICS 1ghz 512mb still run smooth, its hardware and ui design is top notch, maybe they are not good in marketing their phone? pepe josell, 14 Jan 201432Gb micro SD is very poor....and camera 8MP, not very good!! !Presumably, you do understand the difference between, entry level, mid range and top end phones? Good but just in case you don't, this is known as mid range and it is pretty darn good. I don't deal in mid range and prefer the top table, so it is the Z2 for me. Good job though, Sony! Keep up the good work!